How do I view/change my keyword? Where do I see message replies? Can I receive them on my phone? Setting up administrators is quick and easy. Here are a few simple steps. Go to your Manage Administrators page on your Control Panel. Click the green “Add an Administrator” button. Fill out the fields to add your administrator. Click “Send Invite” and the system will email them a link to set up their administrator profile. Username and Password – This is the username that administrators can use if they want to log in to send messages from the Control Panel. Phone Number – If you or an administrator enters a phone number, this will enable that number to send messages from your account by texting in to 229-299-8227. Admin Groups – This field allows you to assign an administrator to a specific group or groups. 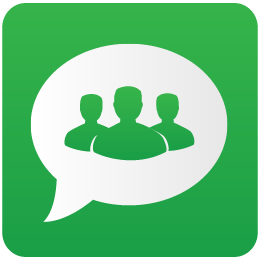 Level 1 (Restricted) - Administrator will only have access to send messages to their groups. Level 2 (Standard) - Administrator will have full access to send messages to all groups but has restricted access to billing. Level 3 (Super) - Administrator has full access to the account, including billing. Once an administrator is set up on your Control Panel, it is easy for them to send a text message to your group by texting in to the system. Use the phone number that is listed for an administrator profile on the Manage Administrators page. Note: Your group’s name must be only one word in order for this feature to work properly. Note: You are only able to send a message to one group at a time. For example: “All This is a test” (no quotes) will send the message “This is a test” to all the numbers on your account. Send your message to 229-299-8227, and everyone in your group will be sent the message! Not only can administrators send a message by texting in, they can also send a message by emailing. Administrators are able to email individual numbers or any group assigned to them, as long as that group has a “Group Keyword” (you can edit group keywords from the “Manage Groups” page). Use the email address listed for an administrator on the Manage Administrators page. Send an email to an individual number on your account by sending to PhoneNumber@gateway.mobile-text-alerts.com. For example, sending an email to 4027188843@gateway.mobile-text-alerts.com will send the message to the phone number 402-718-8843. If you are a “Super Administrator,” you can send a message to any individual phone number on your account. If you are not a “Super Administrator,” then the phone number must be a part of the group you are assigned to. Send an email to an entire group on your account by sending to GroupKeyword@gateway.mobile-text-alerts.com. For example, if your group keyword is “Office,” then you can send an email to office@gateway.mobile-text-alerts.com to send your message to everyone in that group. If you are a “Super Administrator,” you can send to any group on your account. If you are not a “Super Administrator,” then the group must be one that is assigned to you. Start sending mass text alerts today with Mobile Text Alerts!